Posted on February 19, 2016 at 7:09 pm. Many of our plays are inspired by real stories from our seniors, but how do we further develop them into script and performances? It starts with an image. From hearing the story, the facilitators or directors begin to envision an image in their minds. The director will then take any available bodies in the room to begin sculpting the image they see. Layers of details such as sounds, mood and environment are then added to create a physical picture of the once verbal story. As it develops, the story in some ways becomes less personal and more universal. Members of the cast begin to find ways to make the story their own: developing characters, depicting their understandings of the experience while honouring the essence of the original story. There is usually a narrator that takes everyone on the journey, but sometimes we discover that its more effective to have multiple narrators. This blog will highlight some of the research involved in developing our current work-in-progress play: Trains. 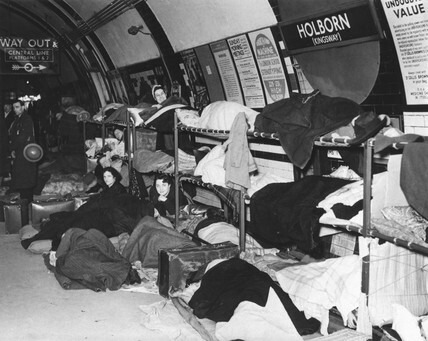 One of our story takes place in Finsbury Park Train station during the Second World War in London. 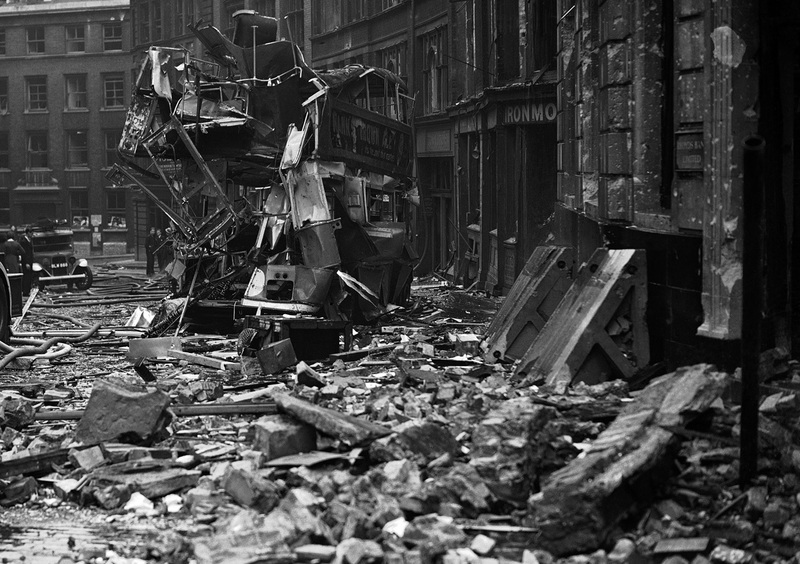 The air raids prompted a siren to alert Londoners to go into the tunnels. 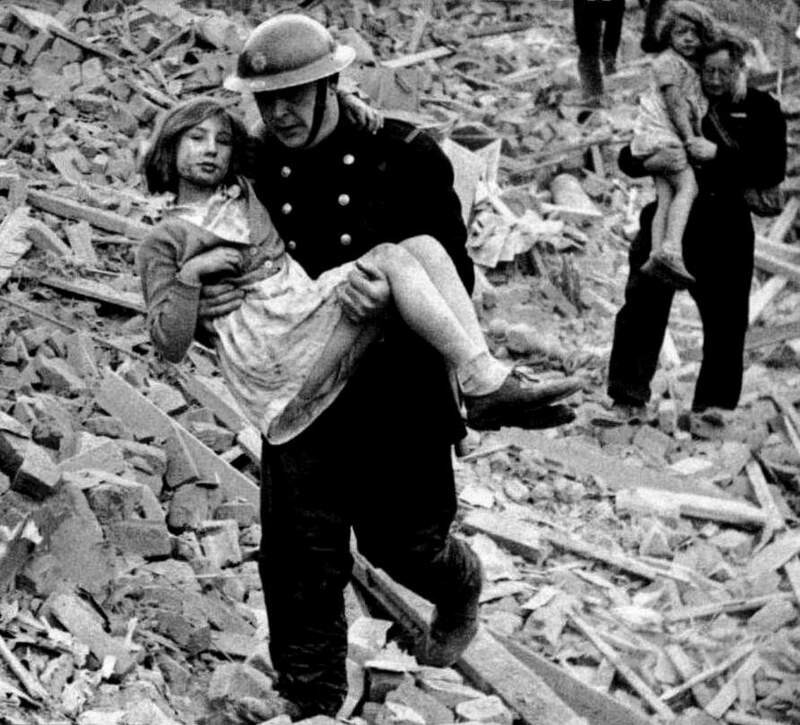 There was another siren alerting the citizens it was safe to come out again. Here is a clip of the two sounds. We would mimic these original sounds with an actor’s voice. When the raids were over, this is awaited Londoners outside. How would you evoke this with a group of intergenerational actors? Posted on February 2, 2016 at 12:21 am. Editor’s Note: We had the pleasure of having Kandis Gilks join us as a friend last semester. Here are a few thoughts she had about Intergenerational Theatre. Intergenerational theatre is complied of many, many things. Willingness to take risks and challenge personal perspective, filling the room with the raw truth whatever that truth may bring, working together to discover the small ‘ah ha’ moments with our pieces… These things are what creates genuine theatre art. The stories and experiences that each of us, Geri or Friend, bring to the work space is beautiful in that they support the common ground we walk on: the passion to present the real. Drama is a process. It is forever growing and developing, changing and progressing. The process will thrive on patience, passion and commitment to creating pieces that are sincere because they come straight from the soul. It is absolutely necessary to understand that drama is a discovery process. We discover things we knew but did not necessarily knew we know. Our stories were a part of us, but are now even more deeply embedded into our every word, line, phrase, and movement. It all becomes necessary. The sight, smell, touch, sound, and taste that had existed once before now comes rushing back to the storyteller in an overwhelming wave of sensory that those listening can too soak up all the story has to offer. We all come together with different backgrounds and opinions but this is what brings us even closer. Listening to one another and supporting each persons history is what makes community theatre so alive and tangible. We do not all have to be the same and believe the same things in order to create something great; it is our diversity that makes us exceptional. Each individual is valued and an instrumental part to the GeriActors and Friends because our variety in vocal tone, physical mobility and artistic expression all contributes to our successful story sharing with society as a whole. Nothing is wrong or bad within theatre; this is what I have learned from the Geri’s. Whatever you decide to do or say you must do with your entire heart and be true to yourself. If something does not work, you accept it and look at the why’s and how’s it did not work, not the story itself. Every piece is in constant review because as we change and grow, our message could alter as well therefore the need to be accepting and patient is so incredibly great. By being able to accept yourself and others, you then are able to accept the magic that will come from being a part of the GeriActors and Friends. Kandis is in her fourth year of BEd at the University of Alberta and am loving every moment of it! She is constantly keeping busy with taking various courses of interest and becoming more involved with mindfulness. Kandis is excited to graduate from university and take her knowledge of intergenerational theatre wherever life takes her!